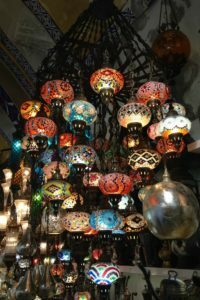 It was our sixth day in Istanbul and we had been putting off going to see the sights in Sultanhamet because we had scheduled a full day walking tour with Walks of Turkey and we were excited to get out and see the sites! 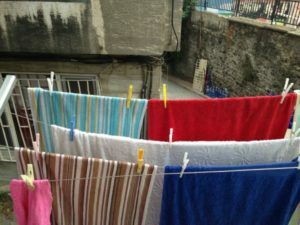 We are smitten with our little apartment in the Taksim neighborhood of Istanbul. In our state of feeling adrift and overwhelmed and mildly terrified of the journey we’ve committed to, it provides us safety and the feeling that we have some control when everything seems to be spinning faster than we can process. Let me tell you a lil summin’ bout myself. My love of history runs almost as deep as my love of garlic bread. 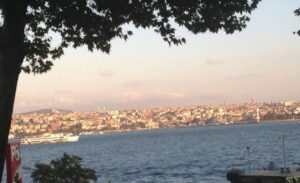 So, as the massive nerd I am, I wrote a history paper about Istanbul (just because I can) and I’ve decided to share it with you all, so you might understand the world just a fraction better. In true Lily style, it’s stuffed with bad jokes and music puns. You’re welcome. [Read more…] about Introducing HistorLily!! 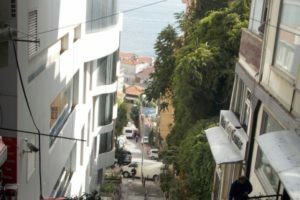 We had been holed up in our apartment in Istanbul for two days and it was time to face our fears and culture shock and go do some sightseeing. 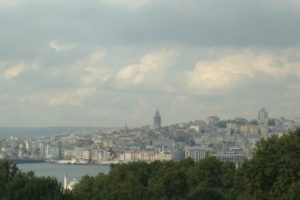 We had a tour planned in a few days that would hit nearly all of the sights we wanted to see in Istanbul, but one. Topkapi Palace.